How much would you be willing to bid for the burger of your dreams? While most of us worship the likes of Five Guys and Shake Shack, we consider 'splurging' to be spending that extra cash on extra cheese, sauce or maybe even a side of fries if we're really feeling like going for it. Therefore, most of us have probably never thrown down $10K for a burger. But in the city that's become synonymous with opulence and luxury, aka Dubai, it looks like that just happened. 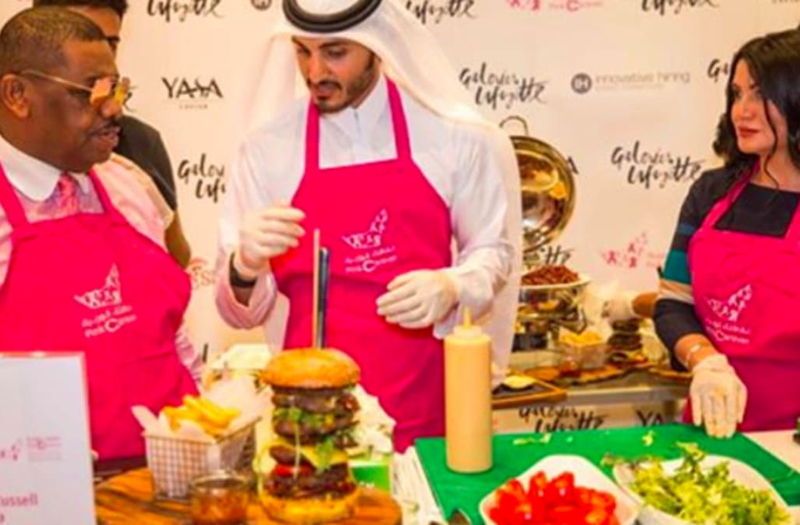 The founder of Dubai-based magazine Villa 88, Asthma Al Fahim, placed a winning bid on a monstrous seven-patty (one patty for each of the emirates in the UAE) burger. The bid came as part of an auction run by Pink Caravan, an organization dedicated to breast cancer awareness. The burger was also created by Russell Impiazzi, culinary director at Le Gourmet in Dubai.